If you're looking for the most powerful sports car ever created by Nissan then look no further. The 2016 Nissan GT-R has plenty of power under the hood to make all car enthusiasts and race drivers fall in love with this monster! The 2016 Nisan GT-R is the perfect car to take out for a night in town. At Premier Nissan of Metairie, you'll have the opportunity to purchase the 2016 Nissan GT-R for an amazing price. Premier Nissan of Metairie is located at 6636 Veterans Memorial Blvd. in Metairie, LA and serves the following cities: New Orleans, Gretna, Laplace, Mandeville, and Harvey, LA. 2016 Nissan GT-R has a starting MSRP of $101,770. The MPG rating on the GT-R is 16 city / 23 hwy. The 2016 Nissan GT-R has a wide selection of features and amenities you'll love. From the moment you step inside to the moment you leave, you'll grip the steering wheel hard as you zip through traffic and the open road. There are four models to select: Premium, 45th-anniversary gold edition, black edition, and Nismo. Exterior colors include 45th-anniversary gold, deep blue pearl, gun metallic, jet black, pearl white, regal red, solid red, and super silver. The interior color features a black leather/suede, premium ivory leather, or red amber premium leather. 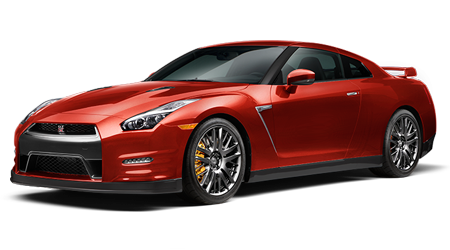 The 2016 Nissan GT-R comes equipped with a 545HP 3.8L V6 engine. Features include 20" aluminum-alloy wheels, carbon-fiber rear spoiler, front fenders designed to optimize air management around wheels, multi-LED headlights with signature lighting, automatic on/off headlights, LED daytime running lights, LED taillights and brake lights, dual power folding heated outside mirrors, flush-mounted aluminum door handles, quad 5" polished exhaust finishers, and UV-reducing solar glass. When you purchase a premium 2016 Nissan GT-R, you're obtaining more power, luxury, and efficiency. The premium GT-R comes with a 600HP 3.8L engine. Standard features include 20" wheels multi-led headlights with signature lighting, automatic on/off headlights, LED daytime running lights, LED taillights and brake lights, dual power folding heated outside mirrors, flush-mounted aluminum door handles, quad 5" polished exhaust finishers, optional titanium exhaust with polished exhaust finishers, and UV-reducing solar glass. Interior features of the premium models include Nissan GT-R include a 7" VGA touchscreen monitor with voice recognition and navigation, rearview monitor, optional Bluetooth, NISMO tachometer, active noise cancellation, active sound enhancement, Auto-dimming rearview mirror, Bose audio system with 11 speakers and dual subwoofers, DVD video playback, diversity antenna, and XM radio. Standard safety features in the 2016 Nissan GT-R include Nissan advanced air bag system with dual-stage supplemental airbags, driver and front passenger front/side airbags, roof-mounted curtain side-impact supplemental airbags, vehicle dynamic control with traction control system, blind spot warning, rear cross traffic alert, optional predictive forward collision warning, optional forward emergency braking, 3-point ALR/ELR seat belt system, front seat belts with pretensions and load limiters, lower anchors and tethers for children, zone body construction with front/rear crumple zones, hood buckling creases and safety stops, Pipe-style steel side-door guard beams energy-absorbing steering column, and a tire pressure monitoring system with easy-fill tire alert. You can count on Nissan for having amazing safety measures on their cars! Nissan has some amazing warranties offered to protect all their vehicles. These warranties include a three year/ 36,000 miles basic warranty, a five year/60,000 miles drivetrain warranty, and a three years/ 36,000 miles roadside assistance. Talk about amazing safety measures! The 2016 Nissan GT-R is truly a sports car within its class. If you're looking to be a legend in the Nissan family, then the 2016 Nissan GT-R is your calling. Come to Premier Nissan of Metairie today for an amazing joyride! You'll be greeted with excellent customer service and offered amazing deals for all your Nissan needs! Premier Nissan of Metairie is located at 6636 Veterans Memorial Blvd. in Metairie, LA and serves the following cities: New Orleans, Gretna, Laplace, Mandeville, and Harvey, LA.